The Blues will be looking to hit the ground running as they take another dig at a maiden continental success. 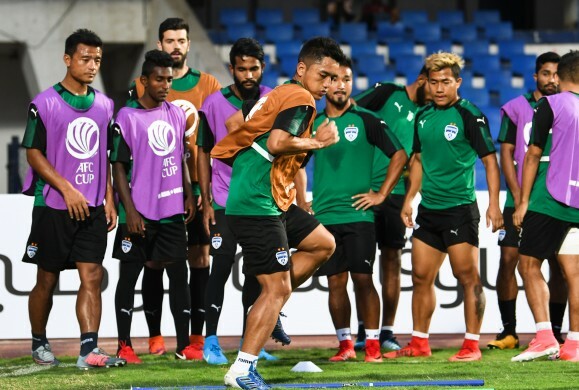 Bengaluru FC will aim to get their AFC Cup 2018 Group Stage campaign off to a winning start when they host Bangladesh’s Abahani Dhaka in a Group E encounter at the Sree Kanteerava Stadium, in Bengaluru, on Wednesday. Having made it through to the zonal phase after winning the preliminary and play-off stages, the Blues are in the Group Stage for a record fourth season running and have matched East Bengal’s (2010-13) run of most consecutive appearances for an Indian club in the competition. “It’s an honour to play in the AFC Cup for yet another season and our performances over the last two editions of the competition show how much we have grown in strength at the continental level. We have had to play four extra games to get here and now that the group stages begin, we need to make our efforts and consistency count,” said Albert Roca. With the grand final of the Indian Super League set to take place on Saturday, Roca is expected to field a similar starting XI from the qualifiers where youngsters got a look in. “We have a situation where we play in a final two days after our AFC Cup game. It isn’t the most ideal scenario but it’s one we are going to have to deal with. The players who haven’t got too many chances in the ISL have done really well in the AFC Cup and I am confident they will keep our unbeaten run going,” said Roca whose team hasn’t lost a game since the 2-0 defeat to Delhi away from home in January. Abahani, who qualified for this season’s AFC Cup by winning the 2017-18 Bangladesh Premier League, began their Group Stage campaign with a narrow 0-1 home loss to New Radiant SC a week back. The Sky Blue Brigade will be missing services of Nigerian striker Sunday Chizoba Nwadialu who was sent off in the opener. In their top-scorer’s absence, the visitors’ frontline will be led by fellow Nigerian Emeka Onuoha along with Japanese medio Seija Kojima. Roca’s men have faced the Bangladeshi champions twice in the previous edition of the AFC Cup. While the Blues won the home leg 2-0 with goals from Nishu Kumar and Marjan Jugovic, they suffered a reverse in the away leg. In team news, Harmanjot Khabra and Nishu Kumar are still recovering from injuries and will not play any part in the fixture. The game kicks off at 8.00 pm. 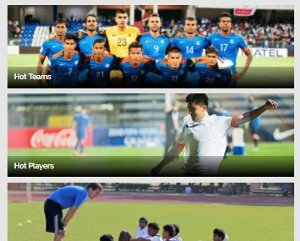 Defenders: Rahul Bheke, Collin Abranches, Zohmingliana Ralte, Juanan Gonzalez, Subhasish Bose, Nishu Kumar, Joyner Lourenco, Asheer Akhtar. Midfielders: Lenny Rodrigues, Harmanjot Khabra, Erik Paartalu, Alwyn George, Myron Mendes, Malsawmzuala, Ragav Gupta. 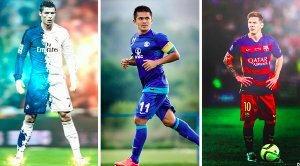 Strikers: Sunil Chhetri, Daniel Segovia, Boithang Haokip, Thongkhosiem Haokip, Udanta Singh, Daniel Lalhlimpuia, Leon Augustine.